In Bolivia, 65 of every 1,000 children die before the age of 5, and this number is two times higher in the countryside. Virtually every family you encounter in the countryside has lost a child. Lack of access to clean water and sanitation is the primary cause. Nearly 100,000 children die in Bolivia each year from diarrhea. It comes as no surprise that the U.N. has chosen, as one of its millennium goals, to cut in half by the year 2015, the number of people without clean drinking water. Also, the lack of access to basic irrigation and transportation creates crushing economic deprivation in the countryside and leads to massive urban migration and the resulting slums, hunger and unstable political environments. In 2001 Engineers Without Borders (EWB) was created to address these problems globally. EWB creates student chapters at Engineering Schools and Professional chapters who partner with NGOs to bring engineering solutions to these problems. However, there is a bottleneck between these eager young engineers and the tremendous needs in the developing world. EWB and other organizations have had problems finding reliable partners in their endeavors. EWB relies on other NGOs to investigate and create proposals. At the most recent International Convention of EWB-USA, there were many stories of EWB chapters unable to find appropriate projects and of EWB chapters having disastrous experiences with “in-country” partners who didn’t provide the proper logistics and communications to ensure a successful project. Continued sustainment of EWB and similar projects overtime has also been problematic. Often volunteer organizations go into a village and develop a great engineering solution, such as drilling a water well or irrigation system, but after a year or two the teams move on to the next village. These projects often become inoperative within a few years. Local villagers are not skilled in repairing such projects and are unaware of who to contact for assistance. 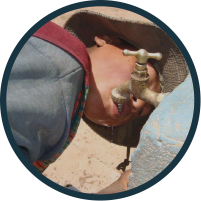 A perfect example is 200 water wells drilled over the last 4 years in eastern Bolivia at the cost of $3 million; of which 25% no longer work. That’s $750,000 in projects that are non-functioning. Or the well that was discovered that hadn’t been working for 2 years because of a broken connection in the well that cost $ 0.25 and was available in the village. Engineers in Action was founded to solve these problems. Engineers in Action is a 501(c)3 organization and all donations are tax deductible. EIA employs local indigenous engineers living in Bolivia who are passionate about improving the quality of life of the poorest people. The engineers meet with local community leaders to document their problems and develop priorities. EIA then develops a project proposal for EWB, engineering universities, and Rotary Clubs. 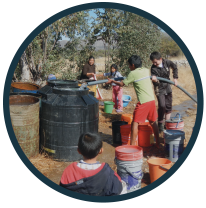 In 1993 a potable water well was drilled in Konani, Bolivia through a partnership between Tulsa Southside Rotary Club and the Methodist Church. It was also noted that that the water well spawned greenhouses which diversified their diet and provided income. This experience led to the creation of Engineers In Action and our desire to provide Bolivian engineers living and working in Bolivia, to develop similar projects. EIA has found an important niche mission. We are opening up the restrictive bottleneck which exists between poor rural indigenous communities and the incredible generosity of the American people; especially the engineers who want to make a difference in the world. We are beginning in Bolivia where we have brought together the powerful partnerships between those with credibility in the rural indigenous communities: the Bolivian government, Engineers Without Borders, Rotary Clubs, engineering universities, and highly committed, highly competent Bolivian engineers. Your donation to EIA will have tremendous leverage. We anticipate that for every $1 in donations we receive; EIA will receive $7-10 in support through project funding and volunteerism. In 2012, we anticipate a total budget of around $230,000. This $230,000 will facilitate and enable thousands of additional dollars in materials for engineering projects and countless hours of volunteer engineering design and labor, to go to the development of Bolivia by our partner organizations. But it is all dependent upon your gift. Your gift of $25 will pay for the salaries of one of our engineers for one day! For $250 you can pay for a week. $1,000 will cover a month. Please click the “Donate Now” button to make a donation today!